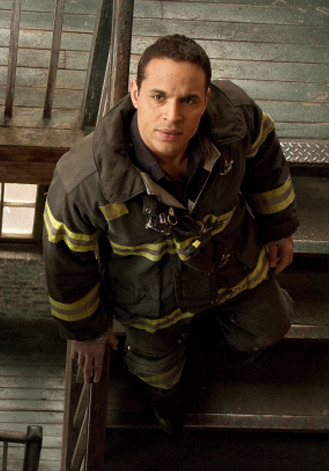 Rescue Me – The firehouse is unhappy with Franco – or “Francostein” as they refer to him – decides to enforce all the rules while taking over Lou’s job, but when he’s really challenged on a call, the biggest rebel of all may be the only one who can prevent a tragedy. Man vs. Food Nation: Route 66 – Adam tries steak and frozen custard on his way to Tulsa, where he helps a retired Navy officer who wants to eat 23 puffy tacos in 90 minutes. And no, I don’t know what a puffy taco is either. Royal Pains – Hank treats a boy who has asthma, but then his nanny starts to have the same symptoms as the boy. The Challenge: Rivals – A tough, multi-event closes out the season, as the final six teams go for the $300,000 grand prize. Damages – Ellen goes to Bill Herndon (Judd Hirsch) to uncover Jerry’s identity, while Howard goes to Afghanistan (John Goodman) to confront Chris. Restaurant: Impossible – Robert tries to revamp an Italian eatery in Connecticut. It’s family-owned, and the family’s squabbles are only adding to the business woes. Top Chef Just Desserts – The new season opens with 14 contestants and a fairy tale-themed challenge. – Elka (Betty White) turns into a bridezilla on Hot in Cleveland (10PM, TV Land). – Last Call with Carson Daly (1:35AM, NBC): Interpol (REPEAT).